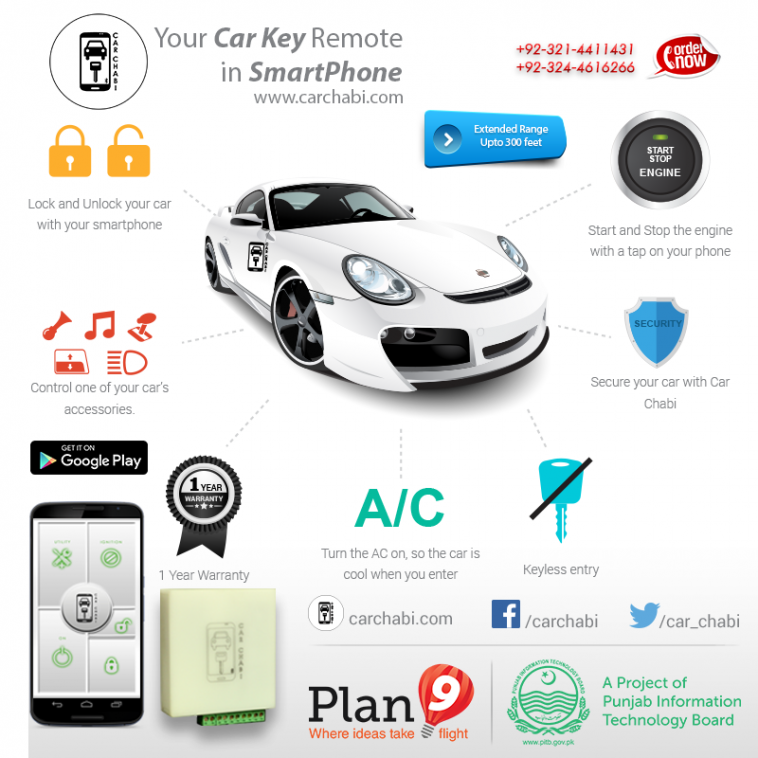 Car Chabi, an innovative Pakistani Startup replaces your car keys with smart phone. 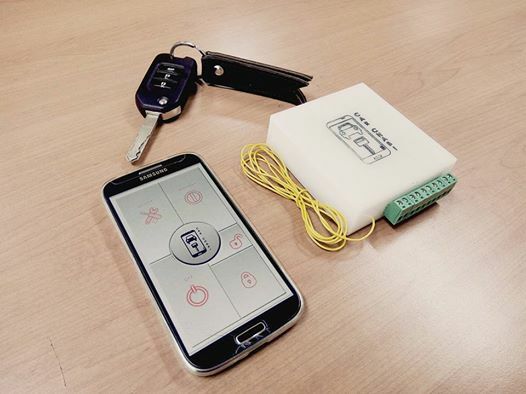 Keep your car keys in your pocket and control the car from your Smart phone. Hammad Yasir and Ali Rashid are both 25 and have done Electrical Engineering from FAST-NU Lahore. They both had one thing in common, love for cars. These gentlemen left their full time jobs to pursue their entrepreneurship dream, an idea revolving around automobile industry. They want to replace the reductant security system, keys of the car and give a complete control of the car from a smart phone app. In this advanced age, (IoT) internet of things is the next big thing and their Startup Car Chabi has something in it to be talked about. There aim is to revolutionize the Pakistani market with this innovative idea. Car Chabi replaces your car keys with smart phone app. Car Chabi is a App and a hardware that lets you control your car, you can lock, unlock, start and stop your car from your smart phone. You can also turn the AC, heater ON/OFF from the app within a distance of 100 meters. About 500 devices have been sold in last 6 months. Their startup was nominated as the best startup in 2nd Throwathon at LUMS and was one of the top 12 Startups at TIE Lahore. The Car Chabi kit costs just Rs 6000 and the installation charges are Rs 1500. You can order the Car Chabi from http://www.carchabi.com or http://www.facebook.com/carchabi . Next article Linkedin steps into freelance marketplace with ProFinder.